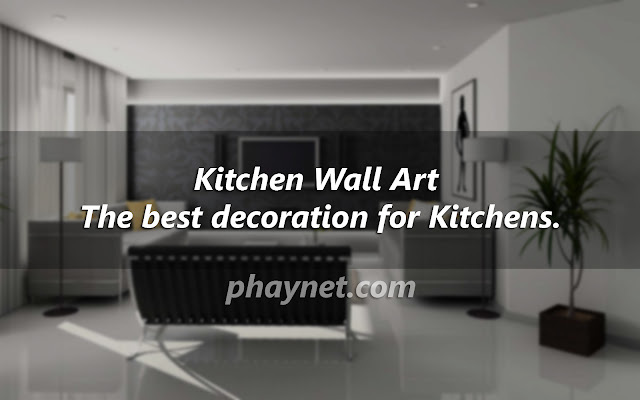 Kitchen Wall Art - The best decoration for Kitchens. Kitchen Wall Art - The best decoration for Kitchens. - So the new age solution to decorate the walls of your kitchen is using Wall Art. Yes I am right! Wall Art is not alone for the lobby or hallway of your homes. It has a special place in the walls of your kitchen. But choosing of the subject of wall art is very important in regards to the look and feel it brings into your kitchen. Kitchen is the place where you cook, serve, eat and socialize with your family and close friends. It is considered to be the most special and auspicious place of your home since all the goodness, health and prosperity is through the way you cook, serve and spend time in kitchen. How often do you feel that your kitchen walls are too clumsy and empty? If you think doing up with designer tiles is a solution you are probably looking at solutions of the Mid 90’s when the problem persists in the next decade. The entire tile work where just a fad that did not last for a long time. So the new age solution to decorate the walls of your kitchen is using Wall Art. Yes I am right! Wall Art is not alone for the lobby or hallway of your homes. It has a special place in the walls of your kitchen. But choosing of the subject of wall art is very important in regards to the look and feel it brings into your kitchen. You would obviously not like to hang that large abstract art work on the walls since they make up a little sense inside the kitchen where you shall seldom get time to sit down and relax to enjoy the art. Generally kitchen walls are decorated with Cuisine and Food Art Pictures, Prints and Posters. You can also use posters of still life that are directly related to the gastronomy as they bring in the essence of being inside a place that has foods items. Although shall need to be very careful while you choose Still Life Prints and Posters to decorate your kitchen since they have at times also been overused. So have patience while you are selecting art for the walls and I shall suggest you to visit an online art prints posters web store in India or wall art store on the internet instead of going in with the offline art shops since there you can browse through thousands of art works without ever bothering yourself or the shop owner. After you have selected the poster or art print for your kitchen walls be careful while you are getting them custom framed. Do not use frame profiles that have too many decorative colours and grooves since over time all the spices and food ingredients that tend to evaporate while cocking shall get in to the inaccessible part of the frames which cannot be cleaned and shall make them look shabby. In all selecting art posters and fine art prints is an affordable way to decorate your kitchen walls rather than going in for original oil paintings or art which is obviously expensive. So what I think is that by spending some time selecting the best wall art for your kitchen you can actually make the walls look more attractive and the space a better place to spend time.